Recently, I ran across Jordan Young, the Arts & Entertainment critic at Examiner.com. He attended my book-signing event at the Orange County Branch of the California Writer’s Club at the Orange Public Library & History Center. We originally met at a previous Cinecon Film Festival. 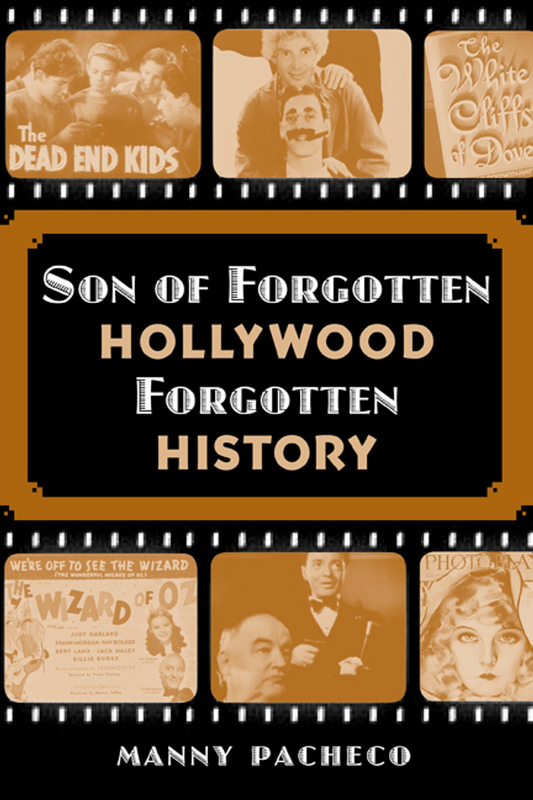 And speaking of The Wizard of Oz, the actor who played the title role in the beloved 1939 MGM film version, Frank Morgan, has a chapter all to himself in Manny Pacheco’s Son of Forgotten Hollywood Forgotten History (available in paperback from redroom.com). Though the author neglects to mention the role of the Wizard was originally slated for W.C. Fields, he’s a writer who consistently thinks out of the box—an approach likely to have you saying to yourself, “I didn’t know that,” as you read this collection of pieces on such actors as Jack Carson, Andy Devine, Margaret Dumont and S.Z. Sakall (the head waiter in Casablanca). Did you know the Dashiell Hammett characters played by Sydney Greenstreet and Peter Lorre in The Maltese Falcon lent their nicknames, Fat Man and Little Boy, to the atomic bombs dropped on Japan at the end of World War II? I didn’t. This entry was posted on Thursday, February 21st, 2013 at 12:45 am	and is filed under Blog by Manny Pacheco. You can follow any comments to this post through the RSS 2.0 feed. Responses are currently closed, but you can trackback from your own site.